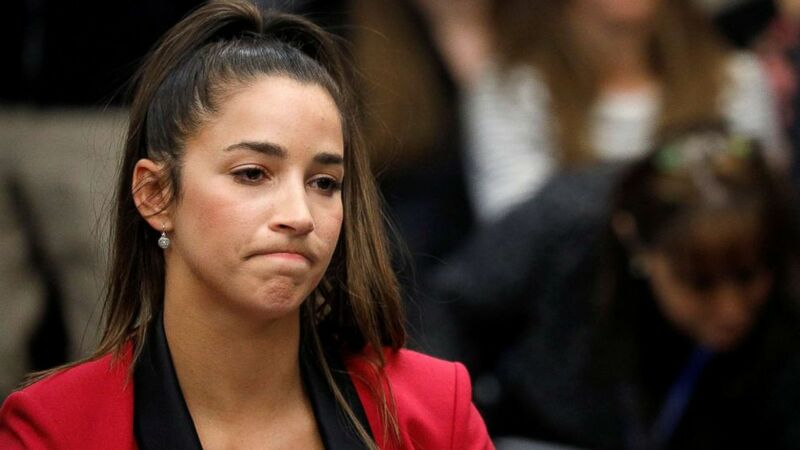 Raisman, 23, appeared in Ingram County Circuit Court in Lansing and took a seat in the courtroom gallery next to Jordyn Wieber, her teammate on the “Fierce Five” USA gymnastics squad that won the gold medal at the 2012 Olympics in London. They were just feet away from the disgraced doctor who sexually abused them, all under the guise that he was providing legitimate medical treatment. The two-time Olympian and captain of the 2012 women’s Olympic gymnastics team spoke on the fourth day of Nassar’s sentencing hearing. She is one of at least 120 victims that have been asked to address the court. She scoffed at USA Gymnastics’ decision on Thursday to cut ties with the famed Karolyi Ranch training facility in Texas, where many athletes were allegedly abused by Nassar. “USA Gymnastics neglected to mention that they had athletes training there the day they released the statement,” Raisman said. “It has caused me to feel shame and confusion and I’ve spent months trying to think back on my experience and wonder how I didn’t even know this was happening to me and how I became so brainwashed by Larry and everyone at USA Gymnastics, both of whom I thought were supposed to be on my side,” Wieber, 22, said. “Nobody was protecting us from being taken advantage of. Nobody was even concerned whether or not we were being sexually abused. I was not protected and neither were my teammates,” Wieber said. While she said she is still angry at herself for not recognizing sooner that Nassar’s treatments were just a ploy to sexually abuse young girls, she said she will not live her life as a victim. Dr. Brad Johnson, whose two daughters, Madeline and Kara, were molested by Nassar, also spoke, saying true physicians treat their patients with “compassion and respect and love.” He said sometimes doctors make mistakes but they are usually not intentional.